« Prescribing as a junior doctor: do we know what we think we know? My life as a psychiatrist often involves dealing with people who present with difficulties that even after years of knowing someone takes me aback. Not knowing what challenge will present itself is what makes my job interesting keeps me going. Sometimes though, there is the frustration of coming across the same problem that has confronted me before and not having the right solutions. Patients suffering from schizophrenia have to deal with not only their symptoms, which can often be intrusive and disabling but also with the consequences of suffering from the illness, stigma and impact, it has on their lives. 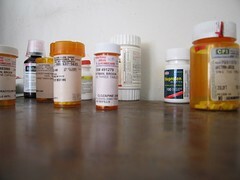 In addition, the medications that are available for this condition are imperfect and cause unacceptable side effects. 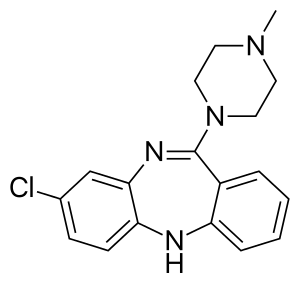 From the limited evidence available, what remains clear is that clozapine stands clearly above its comparators in terms of efficacy especially for those who have not had much benefit with other anti psychotic medications. There is an increased consensus both nationally and internationally to initiate clozapine as early as possible for our patients. Whilst I bear this in mind and initiate discussions about clozapine, I find that this repeatedly takes us through a roller coaster journey. Whilst discussing its efficacy, there is usually, hope all around. I am hopeful that it may bring about some reduction in distressing symptoms for my patient. The patient is hopeful that it may improve their quality of life. The carer is relieved that there may after all be a ‘the magic pill’. This discussion soon enters a sobering phase when the discussion turns to its side effects. There is the understandable caution and anxiety about blood side effects, cardiac effects, hyper salivation etc etc. Understandably, there is a lot of discussions about what people perceive as serious side effects and those who go onto receive clozapine, usually accept these side effects as a price to pay for something that may work better that what they have had previously. Hyper salivation is unfortunately one of those annoying side effects that tend to creep up early on in the course of treatment and perhaps something that has not had enough discussions previously or something people consider ‘can be managed’ in the context of the other more serious side effects. When it does occur, however it is surprising how much it can affect ones day-to-day life. People have to carry tissues around all day, are embarrassed to have conversations in public lest they start drooling and pillow cases need washing everyday and sometimes pillows replacing. One would think that surely there is a solution for this innocuous but troublesome side effect. Surely when you have safeguards for blood dyscrasias and cardiac side effects, hyper-salivation is something the medical fraternity have addressed. When confronted with this problem in clinic, I look to a Cochrane systematic review on this topic to see if it helps. There exists a review on this topic! Hope! I am thinking maybe there is a solution! Looking into it, there are various interventions that have been trialled. Chinese herbal medicine is not available where I work, so I move on to the next one. Diphenhydramine, propantheline, astemizole, Oryzanol, doxepin, Oryzanolum and even amisulpride! I am intrigued now. There are some drugs that I would have expected, some unexpected (amisulpride), some I have not heard of and surprisingly missing is hyoscine, which I would have expected but is not there. 14/15 studies were conducted in China and 14/15 studies were on inpatients. The reporting of trial data is poor, risk of bias high and no one drug stands out from the crowd. The available evidence is not good enough to inform practice. The roller coaster from hope to disappointment continues. I gather my wits and plod on. We continue to prescribe unlicensed drugs in the vain hope that it may help. Meanwhile if the patient has experienced some improvement with clozapine, is left pondering if this is a price worth paying?